Controllers are used to basically control the data in any MVC pattern application, In same way with AngularJS Controller control the flow of data in the application. 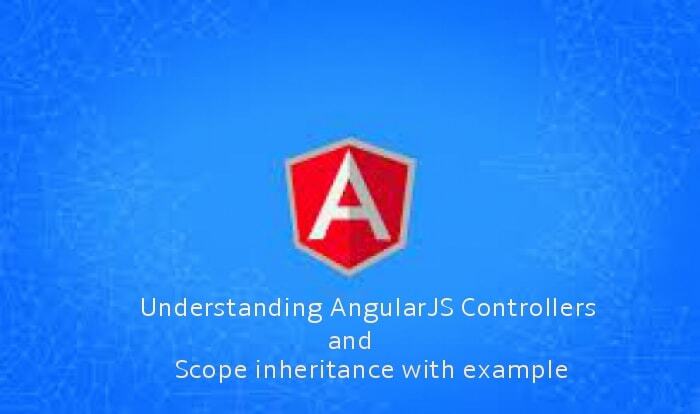 Controllers in AngularJS is attached to the DOM by using ng-controller directive. Never use controllers to manipulate DOM because as per MVC standard controllers should handle only business logic. You can follow the approach of AngularJS's databinding feature in your application to synchronize data automatically between model and view components. I here let you know about scopes What is scope is nothing only hold the Model data to be passed into view. In simple word it is an object that uses two way data binding to bind model data with view. You can see in above example, application is defined in AngularJS by using ng-app="myApp". Using $scope object we bind the string 'ExpertPHP.in' with myName and this property is now bound to the template. ng-model directive is used to bind the value of input field to a variable. And call square method in an Angular expression in the template/view and add behavior to the scope $scope object by adding this method. ng-click directive allow you to add custom behavior when any element is clicked and in above example i use ng-click to binds the click event on the button to get square value entered in input box so whenever button is clicked, the square method on $scope will be called. The FirstController that contains name and age both properties. 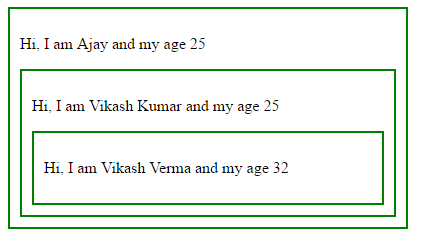 SecondController that contains name only and inherit age property from the previous. ThirdController that overrides both the name property defined in SecondControler and the age property defined in FirstController. I suggest you when you are working with larger application then put controllers in external files.